HA HA! I like this place’s sense of humor! Maybe Little D Y will like it as well. I bet he’s a charmer. 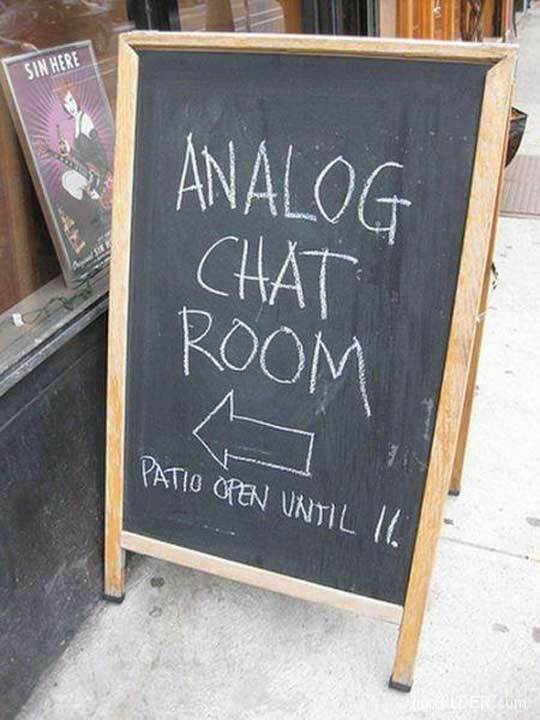 There are those who say we should all spend more time in analog chat rooms and they’re probably right.